The city of Leeds is home to three major educational establishments that deal in some way with art education. Over the years these institutions have served as a Launchpad for the careers of some of the most famous British artists of the twentieth century such as Henry Moore, Barbara Hepworth and Damien Hirst. 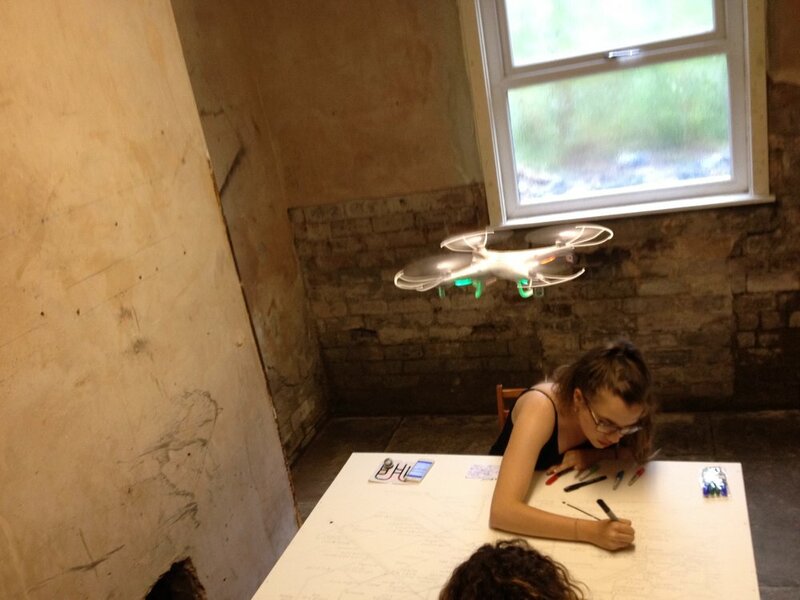 They have also played host to the radical ideas and practices of the likes of George Brecht, Robert Filiou, Allan Kaprow and Yoko Ono; whilst the innovation of the Basic Design Course at Leeds College of Art in the 1950’s, has become the template for the modern foundation course as we know it today. Leeds has a rich heritage in terms of artistic practice, and in an era seemingly defined by austerity and the reduced status of art in mainstream education, a question that might reasonably asked by the art graduate is ‘what next?’. A popular joke from my own days at Art College in the late nineteen eighties was ‘What do you say to a student with a first class degree in Fine Art?’ . . . answer, ‘I’ll have fries with that’. It would seem that in twenty-first century Britain this joke has become embedded in the mainstream thoughts of the establishment, leading us to the current situation in which science, technology, engineering and mathematics (STEM) are promoted as the only way forward whilst art is left out of the equation (STEAM). This is of course a ludicrous proposition as creativity occupies its own very specific territory within the forward march of progress. Without the ingenuity, invention and enthusiasm of those involved in the arts any ideas of real progress are built on shaky ground. The nature of this publication sets out to make a case for the idea that, through the process of understanding one’s identity within the art world, we are able to move forward into the future with a sense of direction and purpose. It is not very often that one meets people who identify this as a concern at the point at which they enter university. In 2014 I encountered Samela Otoviç in circumstances not associated with BasementArtsProject. In this initial encounter I was intrigued in equal measures by both her work and her attitude towards her own work, and from this stemmed a project that has lasted for three years, the duration of her degree. I was originally approached by Otoviç, at the time just reaching the end of her first year as a BA Fine Art student, who inquired of me as to whether I was the one who did exhibitions in my basement and could she do one? After explaining that it was a serious project and there was a process for submission that everyone had to go through I set her a challenge. Setting a deadline of a week, I suggested that if she could send me a proposal and a series of images detailing what she intended to do we would talk about it. Needless to say before the day was out I had in my inbox a proposal and several images. This proposal resulted in the exhibition ‘It Will Come To Me’ staged at BasementArtsProject in July 2014. As this exhibition drew to a close I decided that it may be an interesting idea to revisit Otoviç’s work at interval’s throughout the course of her BA. She too had apparently decided that she would like to do another show with us. It was decided at this point that we would agree to do one exhibition every July until graduation, a way of looking at the development of a person’s ideas and practice throughout their education. This modus-operandi was significantly different from anything else that we had ever done up until this point. 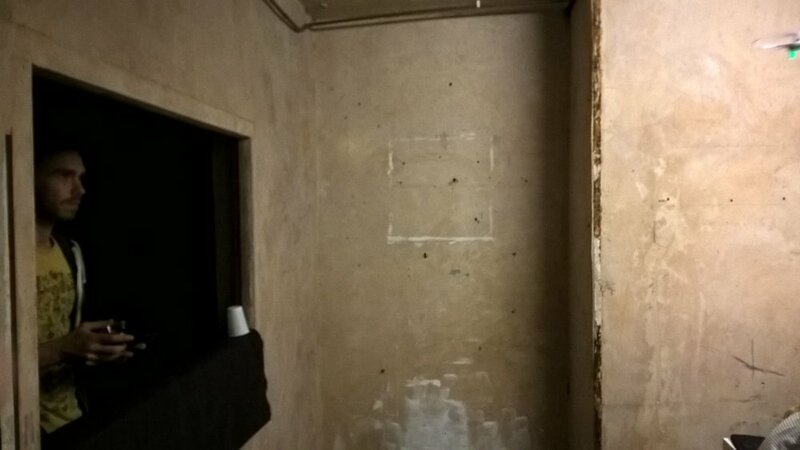 Previously we had worked with Alistair Woods on a solo exhibition, Subjected to Change (2014) post-graduation, at the Basement after selecting his work for open submission group shows during his BA. We have also worked with Leeds Beckett on other undergraduate projects such as 30: six short films about ritual (2015) and #7SecondTour (2015), a newspaper project run in conjunction with British Art Show 8. All of these projects in some way upheld and reinforced the nature of the degree’s being undertaken by the students involved. With Otoviç’s project being entirely extra-curricular though it was seen as an opportunity for her to experiment without fear of failure and often at a tangent to her direction at University. Having constructed an exhibition at the end of her first year that addressed the subject of painting but without the use of paint, something on her mind at that moment in time, the second exhibition addressed issues surrounding technology and the surveillance of society. 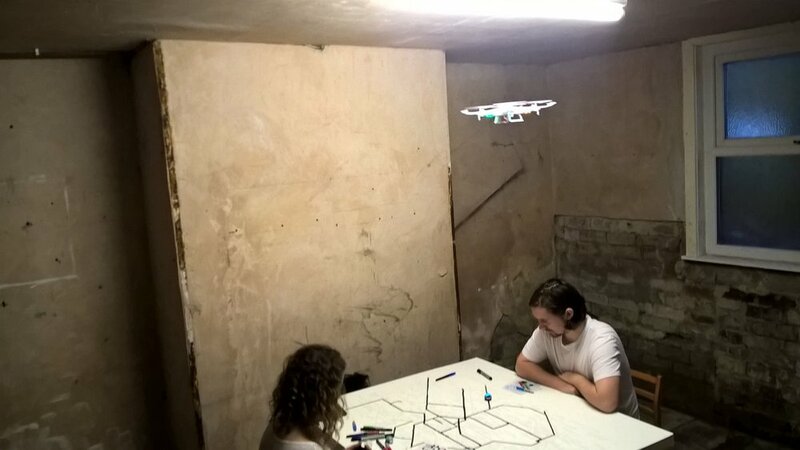 Counterplay (2015) was a daring and ambitious event that involved a large map of the Parisian underground, a pair of ozobot’s, a drone piloted around the basement above people’s heads and an uproarious game with very few rules. Having watched the development of her work since the initial exhibition at basement, through winning the Edna Lumb Travel Prize (2015), Duck Duck Goose (2015) a solo exhibition in her own shared house in Leeds, curating a group exhibition in Albania, Lost in Translation (2015), and staging ever more elaborate events, hoaxes and stunts, it may be hard at first to plot a course through it all, but there is one. Across the projects painting re-emerges and is addressed in ever more inventive ways, attitudes towards surveillance and tech hardware are taken to ever more subversive extremes painting quite a picture of not just the times in which we live but also of a fertile and active mind, unable, or unwilling, to rest. At this point Samela Otoviç has one more exhibition at BasementArtsProject, but of course this is really only the beginning and I am sure that it will not be the last we hear from her. ‘Counterplay’ is the second in a series of three exhibitions by Samela Otoviç that began in July 2014 with ‘It Will Come To Me’. This year’s exhibition takes as it’s central conception ideas surrounding the use and misuse, appropriation and in-appropriation of technology in society. Is technology the voice of the people or a tool of the state? Over the course of the last year Otoviç’s work has taken a playful look at weighty subjects such as surveillance and her position as a person of dual nationality. For ‘Counterplay’ she is developing a new piece of work that will further develop these themes.